love it, I ordered the whole comforter set. The Dawson Star pillowcase set is an easy way to add depth and contrast to your bedroom decor. 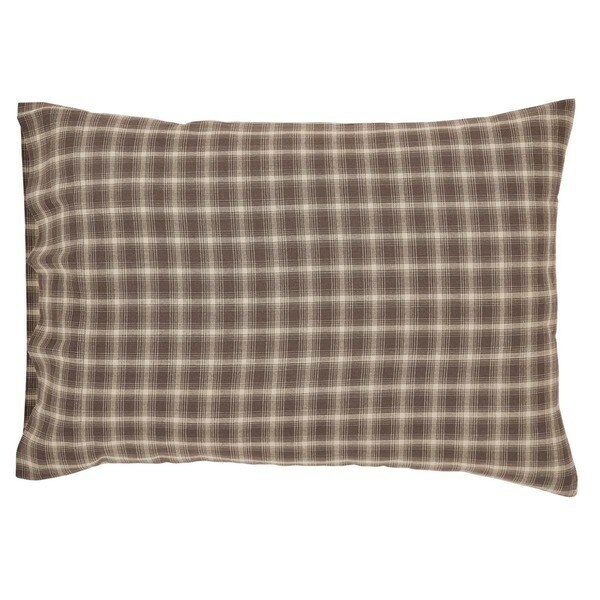 100-percent cotton in rustic shades of woodland brown and khaki plaid. Once washed these are soft. I was not all that thrilled with them when I opened the package but once I washed them and added some fabric softener they were great. The brown color is true to what it appears to be online. Need pillowcases to match our Wyatt quilt and these are PERFECT! These pillow cases are dark as expected, but I wanted them since they are wider than most. Wash well, just be sure to fold them right out of the dryer. Pillowcases washed beautifully, no twisting and still lays flat.